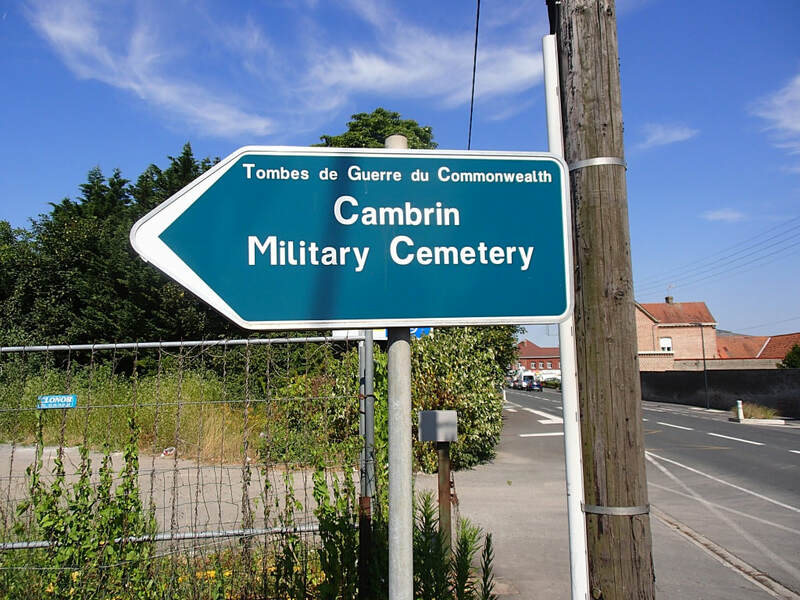 Cambrin is a village about 24 kilometres north of Arras and 8 kilometres east of Bethune on the road to La Bassee. 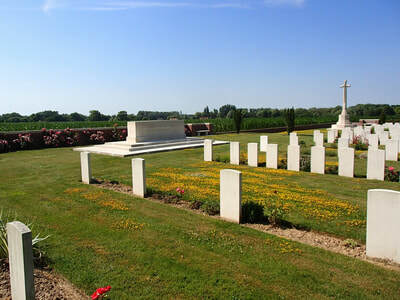 The Cemetery is on the north side of the road and is approached by a path from the main road. 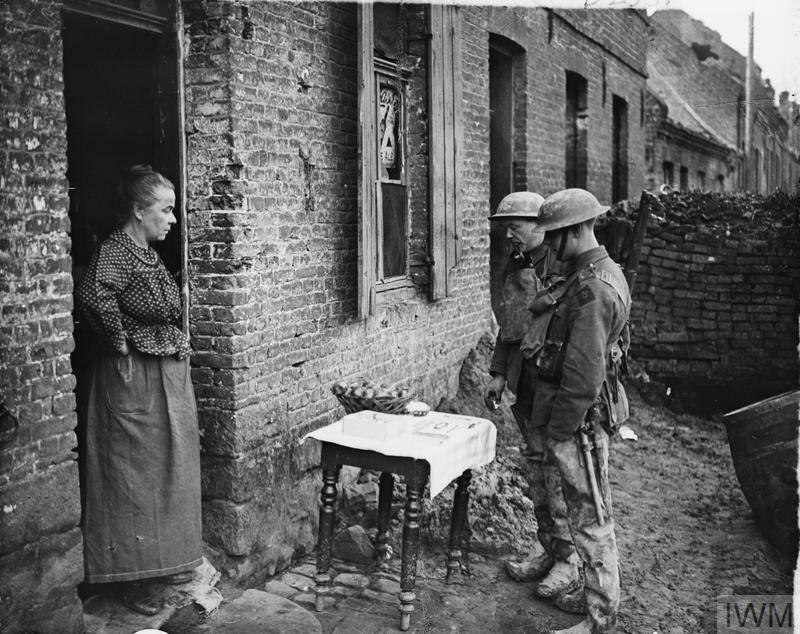 At one time, the village of Cambrin housed brigade headquarters but until the end of the First World War, it was only about 800 metres from the front line trenches. 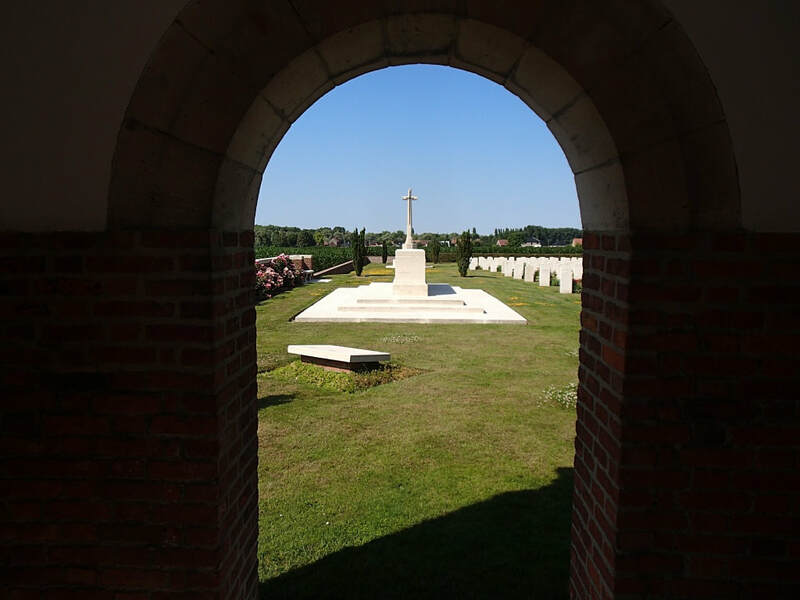 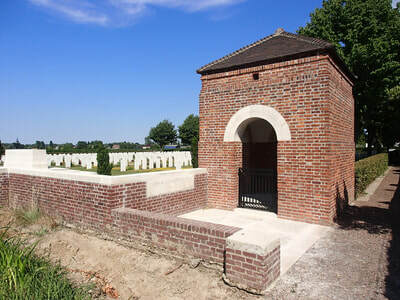 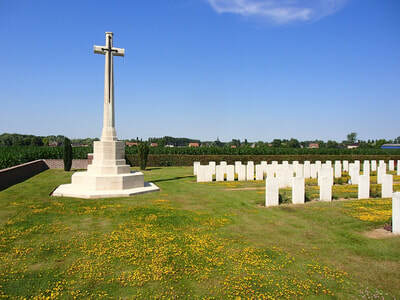 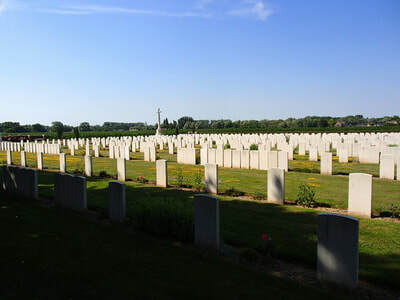 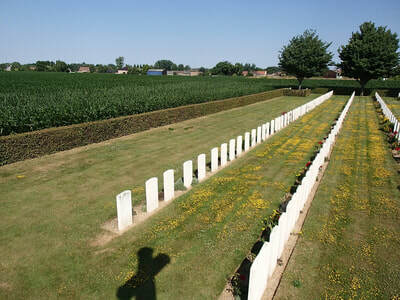 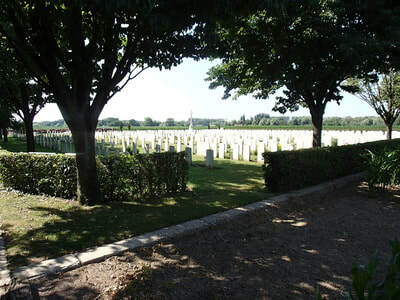 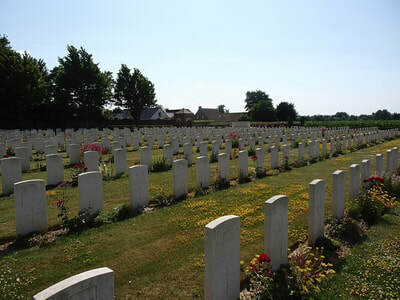 The village contains two cemeteries used for Commonwealth burials; the churchyard extension, taken over from French troops in May 1915, and the Military Cemetery "behind the Mayor's House." 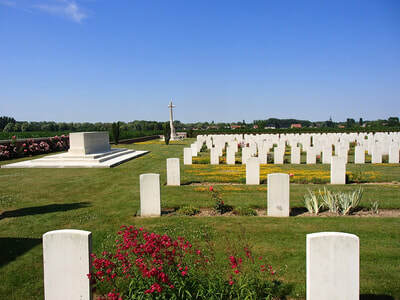 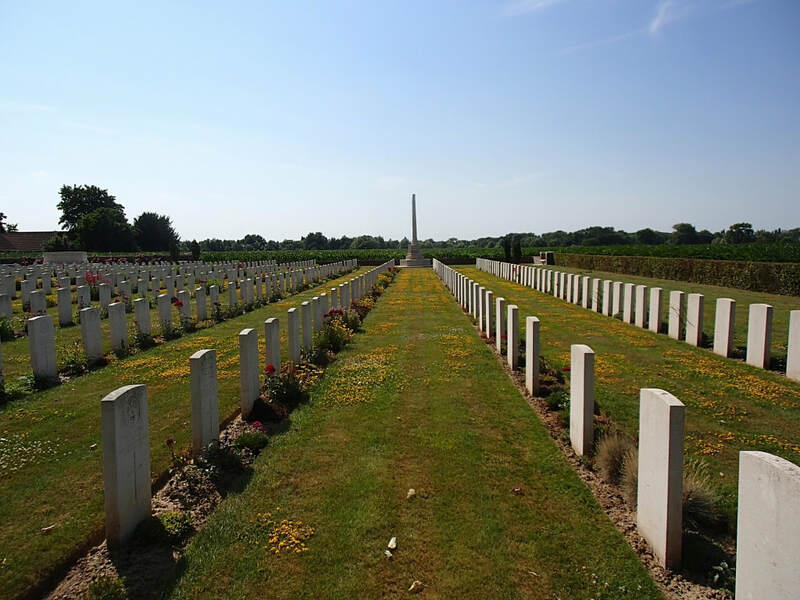 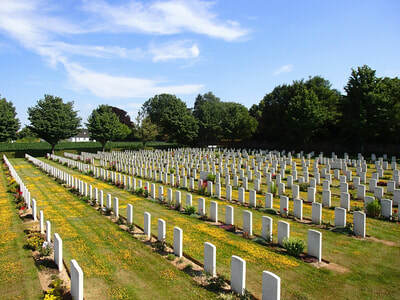 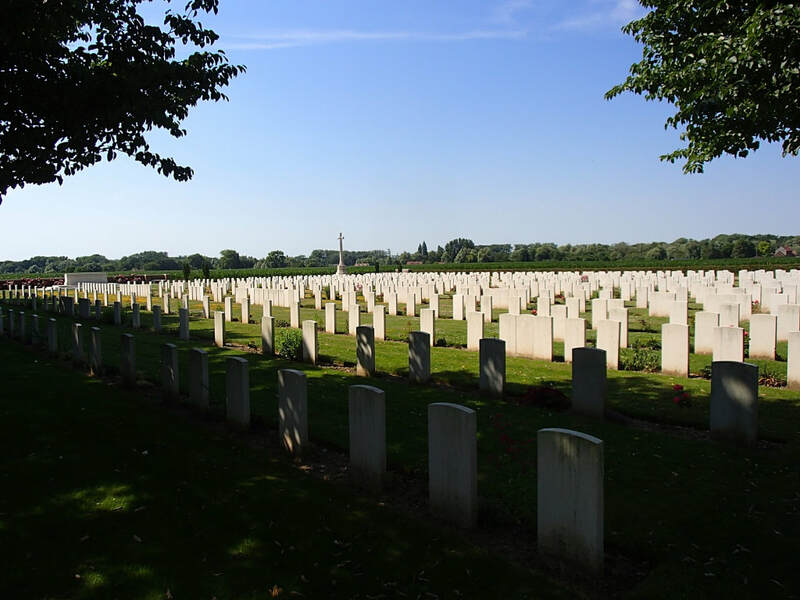 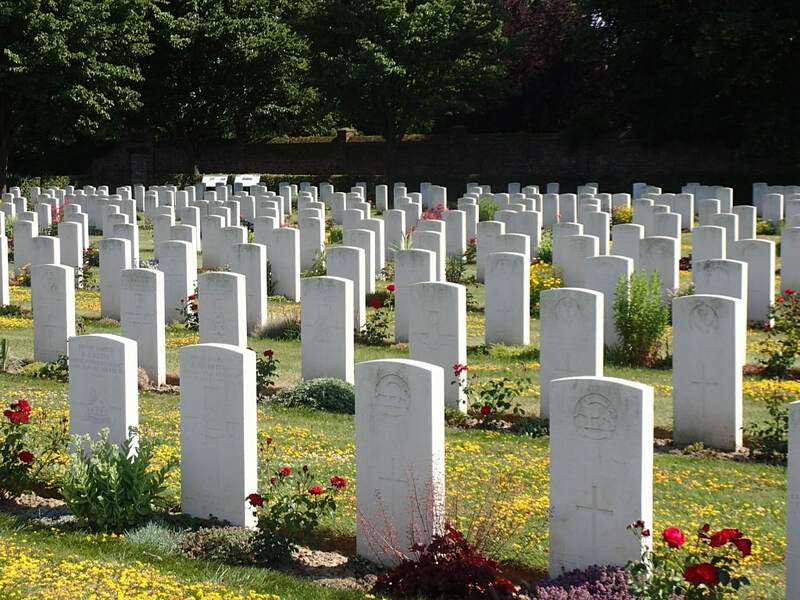 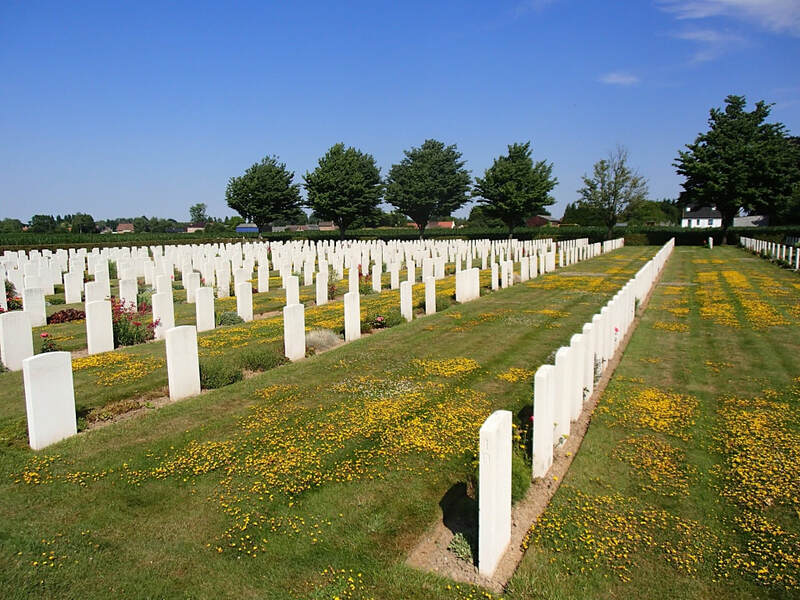 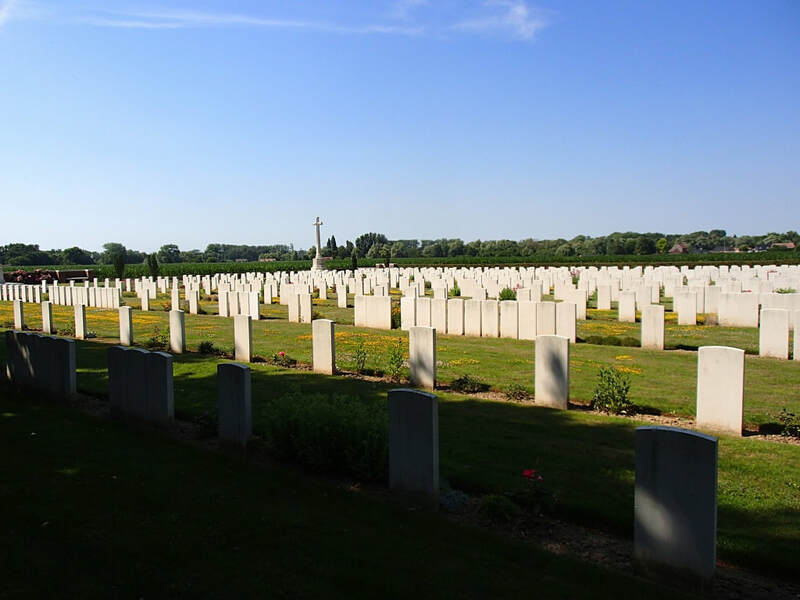 Cambrin Military Cemetery contains 816 Commonwealth burials of the First World War. 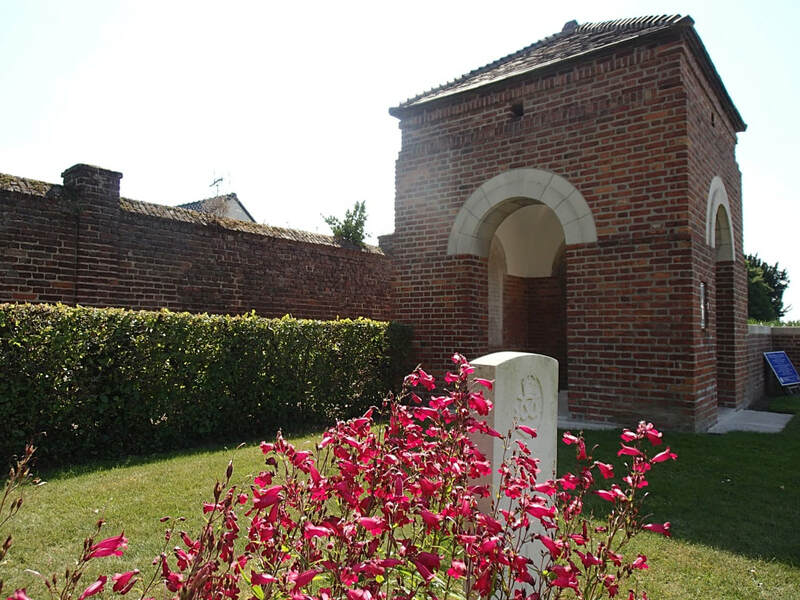 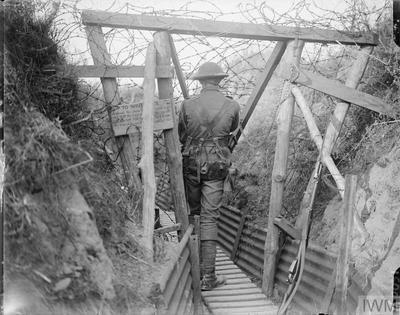 The cemetery was designed by Charles Henry Holden and Captain Wilfred Clement Von Berg M. C.
26427 Private Michael Fahey, 1st Bn. 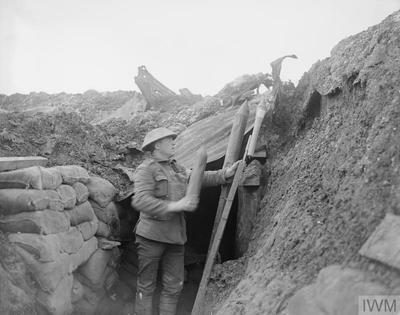 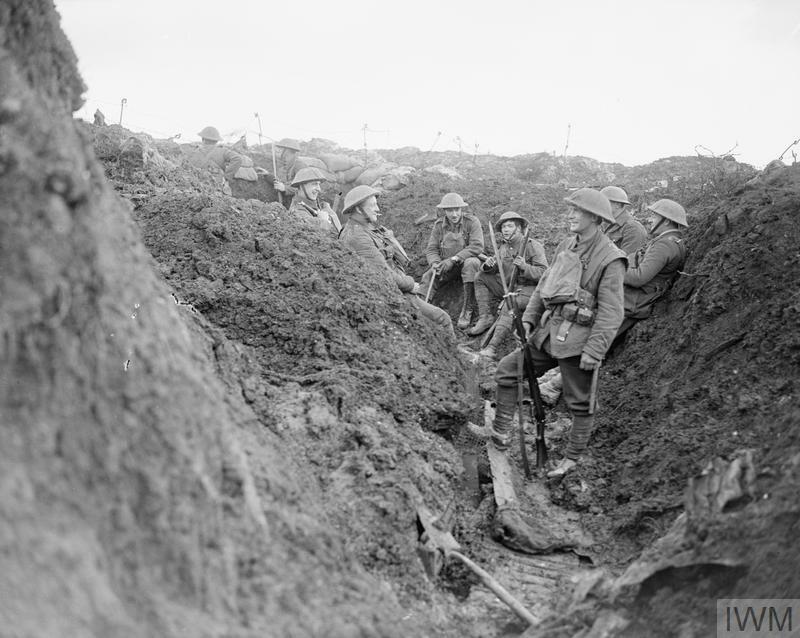 The King's (Liverpool Regiment), 25th September 1915. 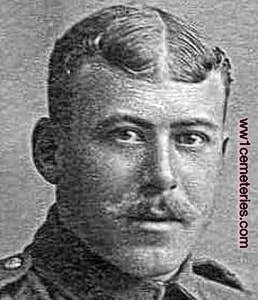 9th April 1918, aged 29. 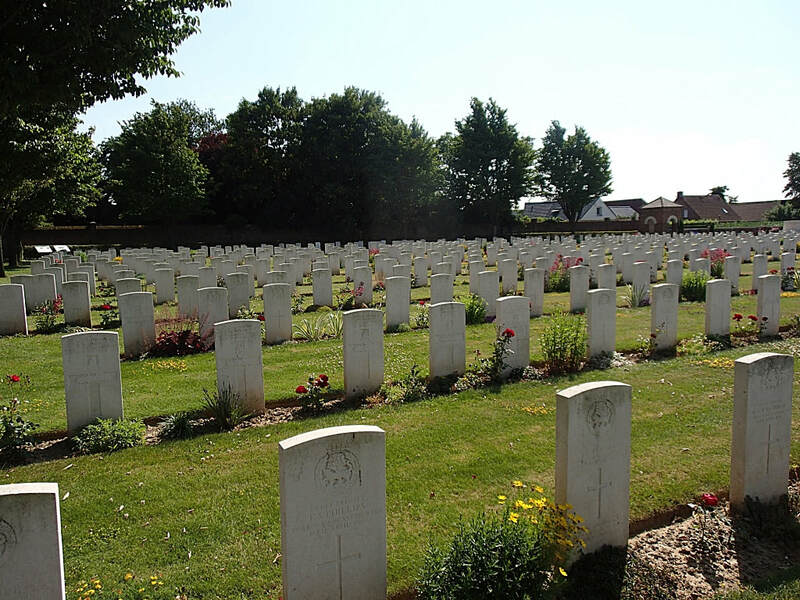 Son of Mrs. M. A. Abbott, of 12, Curzon St., Blackburn. 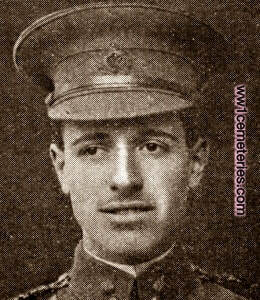 2nd January 1916, aged 23. 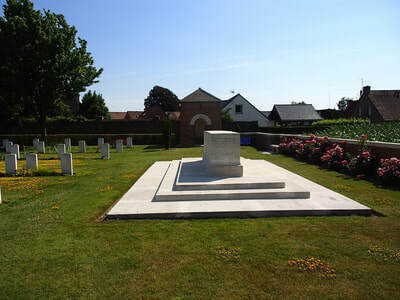 Son of Edgar and Katharine Ann Beale, of Stream Cottage, Middle Bourne, Farnham. 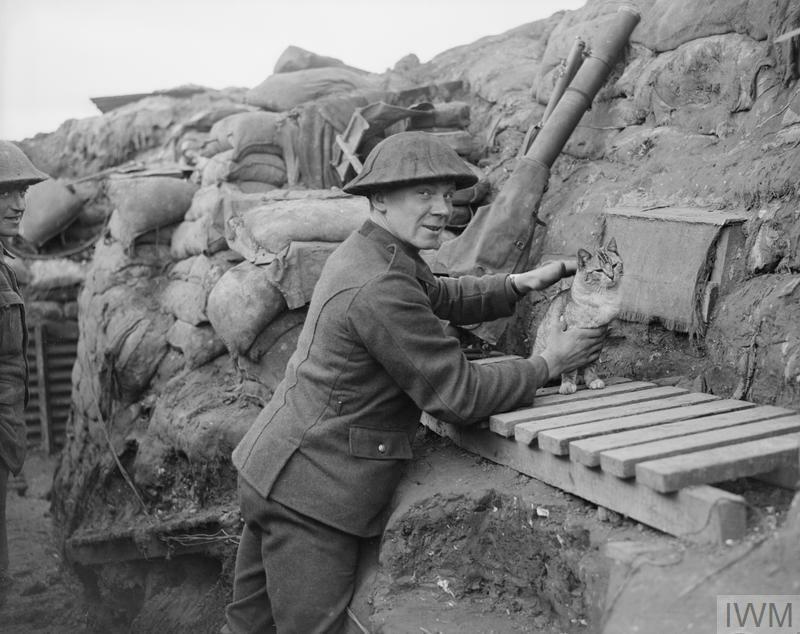 Native of Frensham, Surrey. 11th January 1916, aged 21. 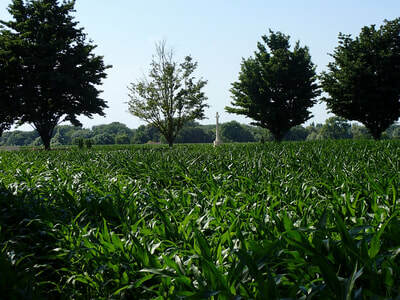 Native of Conway. 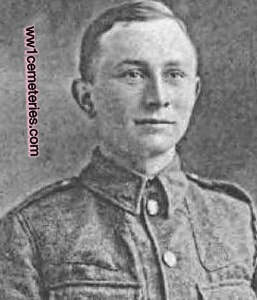 Son of Mr. James Hartley Burton and Mrs. M. M. A. Burton, of Fryars, Beaumaris, Anglesey. 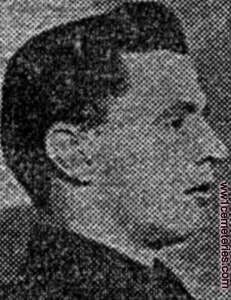 Husband of Edith May Euinton of 57 Boyle Street, Luton, Beds. 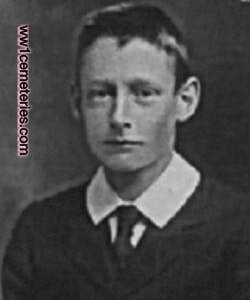 Son of Charles James and Beatrice Clara Fox, of 30, Ladbroke Gardens, Notting Hill, London. 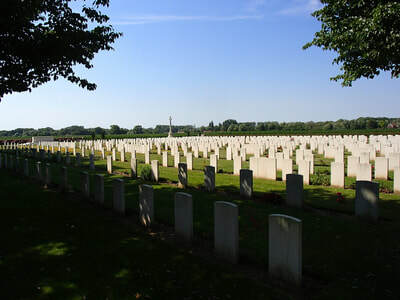 Born in London. One of the first five Officers in the Army taught to fly. 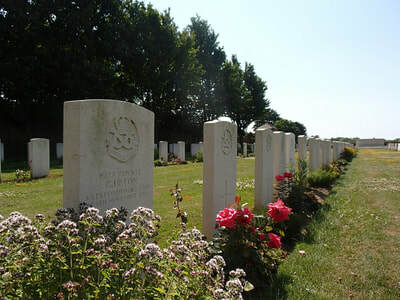 27th October 1918, aged 26. 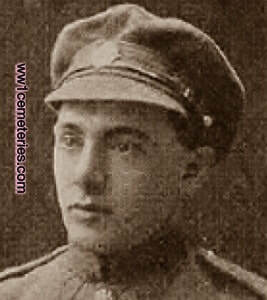 Son of Jacob and Sarah Kalminsky, of 13, Stutfield St., Commercial Rd., London.